The Imperial Knight is closer to battle! 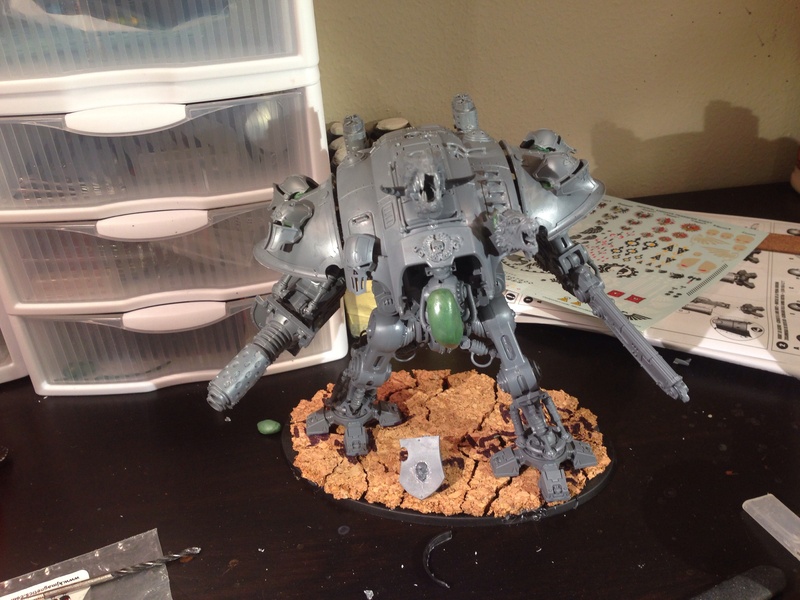 My first Imperial Knight is built and ready for priming as soon as the green stuff sets up! All of the masks on the knight are magnetized to allow them to be swapped on their different mounts and for the knight to wear different masks. I still need to come up with a paint scheme and name for this Freeblade knight, but I am thinking something along the lines of “The Faceless Knight” or “Knight of a Thousand Faces”.